Sell Your Car in Palm Harbor - Fast, Safe, Fair! 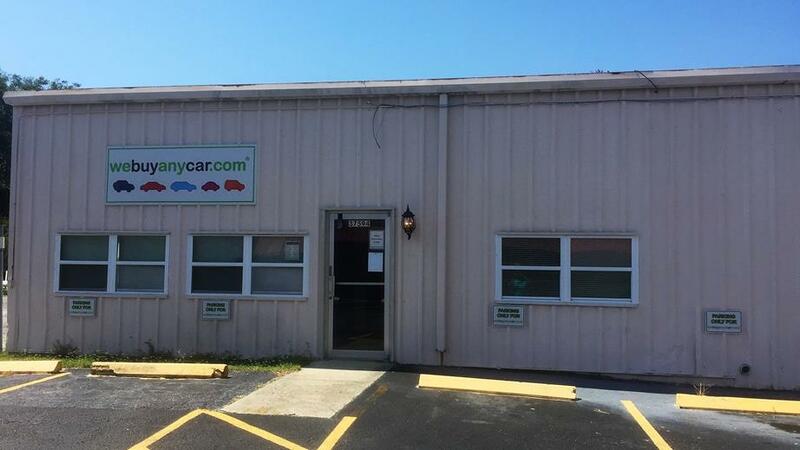 Selling your car couldn’t be easier with We Buy Any Car Palm Harbor. Our local branch makes selling your car in Palm Harbor, FL as easy as 1, 2, 3. Start by getting a free, instant online valuation right on our website, then book an appointment to sell your car at our Palm Harbor branch. Our professional and polite staff will inspect your vehicle, complete the paperwork for you and provide you a check you can cash or deposit immediately. Getting cash for your car could not be easier! If you have a car to sell, skip the trade in and visit We Buy Any Car Palm Harbor. We've listed answers to the most common questions on the frequently asked questions section of the website but if you'd like to talk to someone, you can reach Chuck Dean who manages our Palm Harbor car buying center at (727) 939-6051 during branch opening hours, listed above. You'll usually be met by Chuck Dean, who manages our Palm Harbor branch. Chuck will check your documentation to ensure you have the correct paperwork and necessary items and will then conduct a short inspection of your car. This usually takes around ten minutes and you can accompany Chuck while your car is reviewed. If you cannot arrange a ride home in advance from a friend or family member after we buy your car, our branch manager will have a list of public transportation available in the Palm Harbor area.